In 1975, a German ballscrew factory was established to manufacture precision ballscrews for the European markets. Quality was high, sales were brisk, and a large presence was made within the industry. However, capital and efficiency were insufficient to meet customer demands and thus sales suffered. In 1981, Finest Ballscrew Company was founded in Taichung Taiwan for the production of rolled and ground ballscrews for the Asian markets. Finest initially started with one manufacturing facility and expanded to three to meet the growing demands. 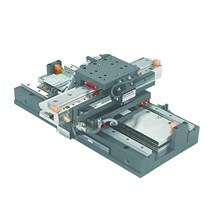 Manufacturing efficiency and prices were excellent, but there were limitations in quality due to the manufacturing environment. HIWIN Technologies Corp. was founded in 1989 with the acquisition of the two aforementioned manufacturing facilities. The infusion of capital greatly increased the capacity at the Taichung plant and the added resources which resulted in the addition of new buildings to create a state-of-the-art ballscrew manufacturing facility. 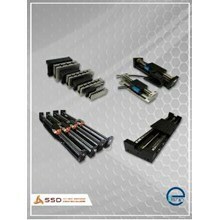 The infrastructure of the new plants were designed with the sole purpose of creating the best environment for the production of the highest quality and lowest priced ballscrews in the world. An unprecedented amount of attention was given to creating a vibration-free, temperature, and humidity controlled environment for the precise grinding and laser measurement equipment that was used. HIWIN is considered by many as being the first company in the world to be capable of consistently manufacturing the highest accuracy grades recognized by ISO and DIN standards as well as transportation grade rolled ballscrews. Even today, only a limited number of companies have the ability to make JIS grade 0 (0.0035mm/300mm) lead accuracy ballscrews. In addition, HIWIN is also capable of manufacturing rolled ballscrews to JIS grade 5 (0.018/300mm) tolerance, making HIWIN one of the best rolled ballscrew manufacturing facilities in the world. Since 1989, HIWIN has grown to include six manufacturing facilities in Taiwan and two in Germany. In addition, HIWIN's German facility houses an extensive research and development center. 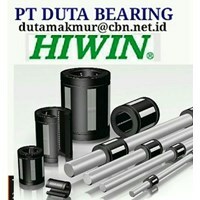 HIWIN is currently one of the leading ballscrew manufactures in the European and Asian markets. With its introduction into the North American market, HIWIN is intent on bringing it's customers exceptional quality at the most competitive prices. 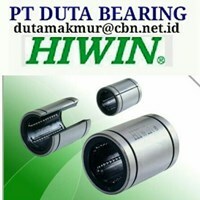 HIWIN BALL SCREWS LINEAR ACTUATOR MOTOR PT DUTA BEARING HIWIN LINEAR GUIDE WAYS ! IndoTrading.com adalah media iklan khusus Perusahaan, Toko, Distributor, Grosir, Agen, Supplier, Importir, Exportir, Trading dan Pabrik. Jika Anda tertarik untuk membeli HIWIN BALL SCREWS LINEAR ACTUATOR MOTOR PT DUTA BEARING HIWIN LINEAR GUIDE WAYS ini dengan harga murah, Mohon hubungi Kontak Perusahaan ini diatas.